Kaduna State Governor, Nasir El-Rufai said he would be commissioning multi projects spread across the 23 local government areas of the state as part of activities marking this year’s democracy day on May 29. A team of reporters led by the Nigeria Union of Journalists (NUJ), Kaduna State Council had visited some of the ongoing projects at different locations in Igabi and Chikun local government areas of the state to ascertain the reality of those projects. At Rigasa, the largest community in Kaduna State, the 8 kilometer township road was at advance stage of completion (85%) while five public primary schools which include LEA Primary schools located at Ungwan Shawai, Lokoja road, Mashin Gwari, Layin Bilya and Bokon Daji would also be ready for commissioning next month. The building of the schools became necessary owing to the fact that thousands of pupils who were hitherto sitting on bare floor while learning, Special Assistant to State’s Commissioner for Works, Housing and Land, Adamu Hayatu hinted. “If you remember, there has been serious transformation in education sector in the state following the declaration of state of emergency on the sector by the state governor in October 2015. And these are visible outcome of redefined education system in Kaduna state. It will not end here because the construction is in phases”, added Adamu. A resident of Rigasa, Umar Hamshaki, told journalists that, this was the first time the state government would be executing projects that have direct impacts on the people of the area. “I have been living here for the past 35 years and to be sincere with you, we are experiencing these projects in this area for the first time. This is the kind of Governor we need in Kaduna State and I am happy this is happening in my lifetime. “If you see this road before now when it was single lane, it was so terribke that we spend hours instead of few minutes because it was in bad state. We are happy with the dualization of our major road and other projects we have in this area,. “See, in some of our primary schools, we have as much 30,000, 20,000 children b it we don’t have enough learning facilities for them. But El-Rufai is already building classrooms for us in these schools”, he said. Another resident of the area, Inuwa Abdulkadril told Daily Sun that, those whose property were demolished for the road expansion have all been compensated saying, that was partly responsible for the temporary delay in the completion of the road. Inuwa was however not satisfied with the drainage system part of the road calling on the contractor to expand the drains to avoid flooding when it begin to rain again. 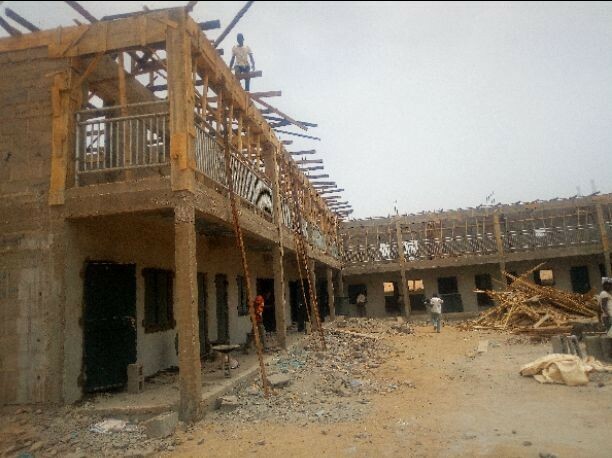 Speaking on behalf of Visible Construction Company, Architect Salihu Muhammed said, his company would finished all the ongoing building of 110 classrooms in five schools in Rigasa before the end of April quickly added that, nothing would delay the finishing of the projects. 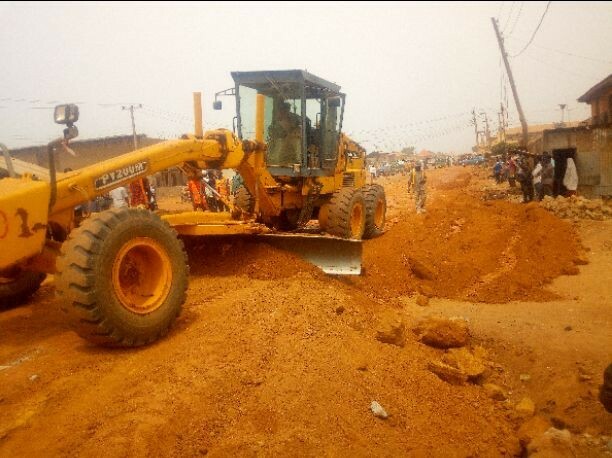 At Goni Gora in Chikun local government area of the state, the first ever road construction is also at advanced stage as residents of the areas are waiting anxiously for the completion of the project.